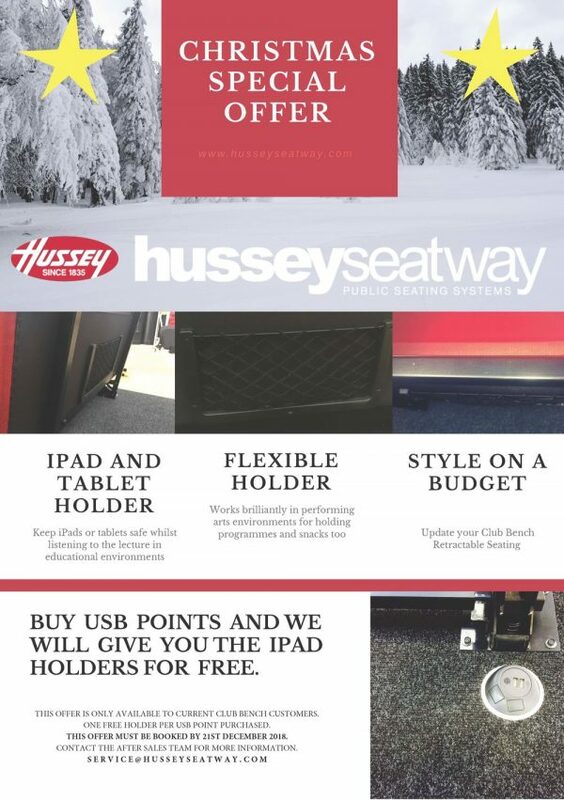 Hussey Seatway is delighted to announce a new addition to our range of accessories. Currently only available on our Club Bench seating, we introduce to you our new iPad holder. The iPad holder can be added to existing Club Bench installations, with minimum interference. Also, they can be added as an extra when purchasing a new Club Bench system. We are offering a special promotion, for a limited time only. 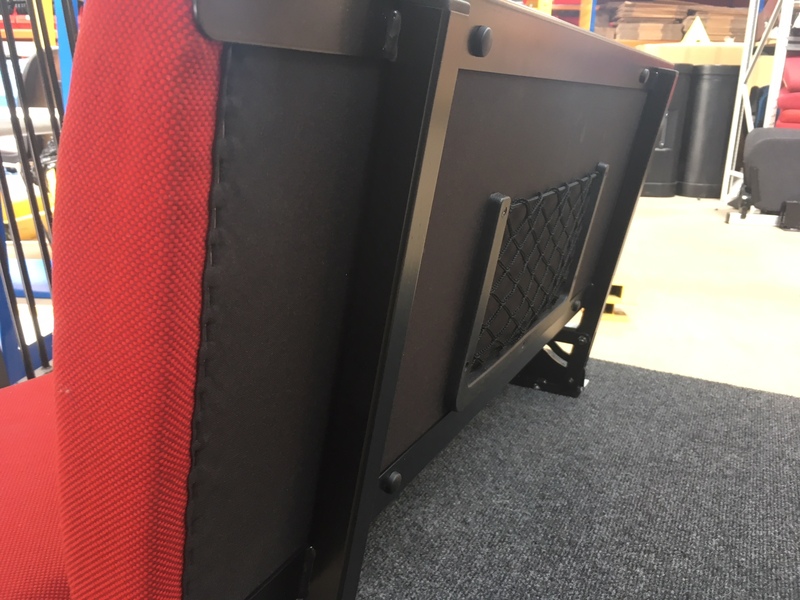 Therefore, if you add USB points to your retractable seating platforms, we will provide you for free the same amount of iPad holders. So, customers can contact our After Sales team to find out more. 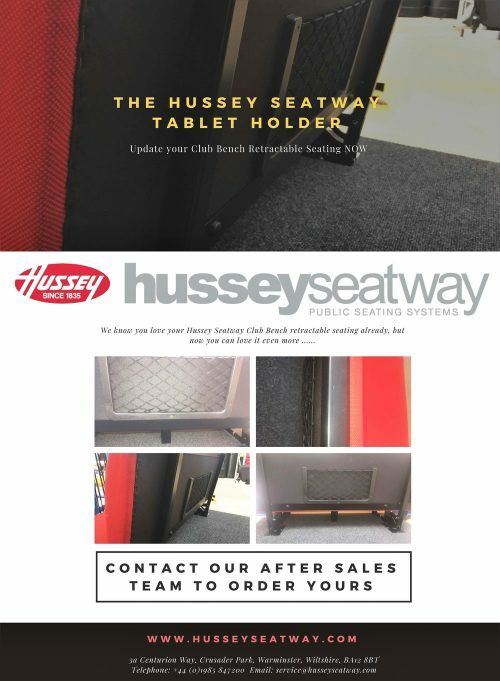 Email on service@husseyseatway.com or telephone on 01985 847200.